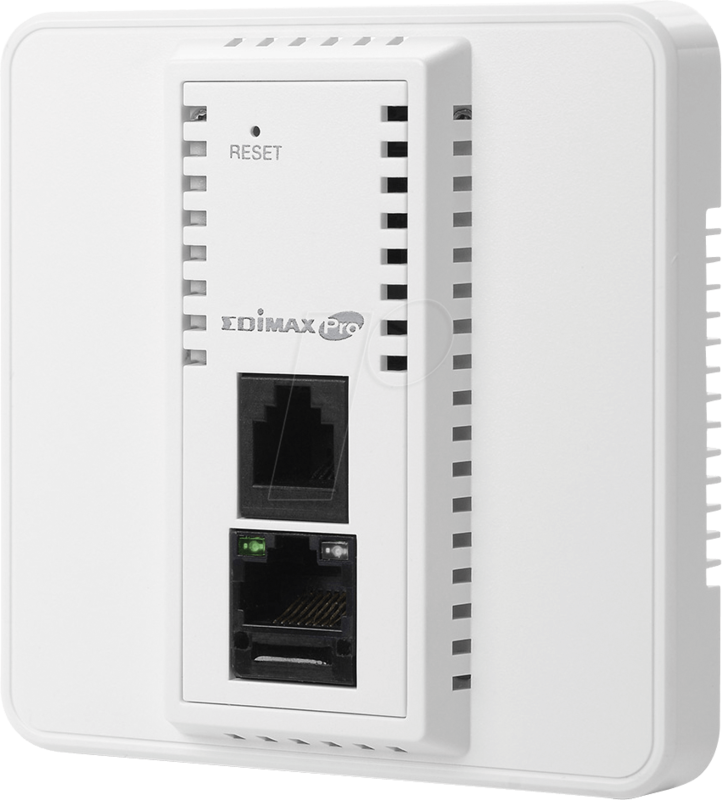 The IAP1200 is a powerful wireless solution designed to meet the needs of modern mainstream businesses. 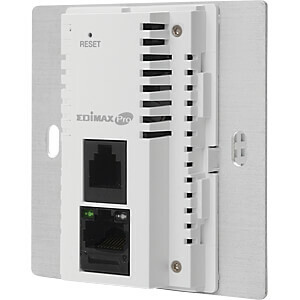 With the latest IEEE 802.11ac technology for wireless speeds up to 1200Mbps, the stylish in-wall design is specifically for existing building structures so you can easily change an existing in-wall wired Ethernet jack to a wireless access point. Ideal areas of deployment include offices, hotels, MDUs (Multi-Dwelling Units), airports, meeting rooms, schools, campuses etc. For hotels which demand security, flexibility and speed, the IAP1200 provides guests with a convenient wireless LAN service. 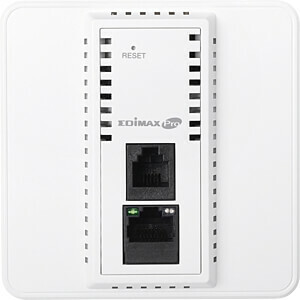 With standard US or EU type Ethernet wall jacks already installed, there’s no need for extra time and cost to deploy a wireless network – you can reduce re-wiring costs while blending the AP with the interior décor. And the high-density capacity is ideal for BYOE workplaces or other environments with a high volume of users and wireless devices. Multiple SSIDs can be configured for different departments or user groups and a built-in RADIUS server provides additional verification. 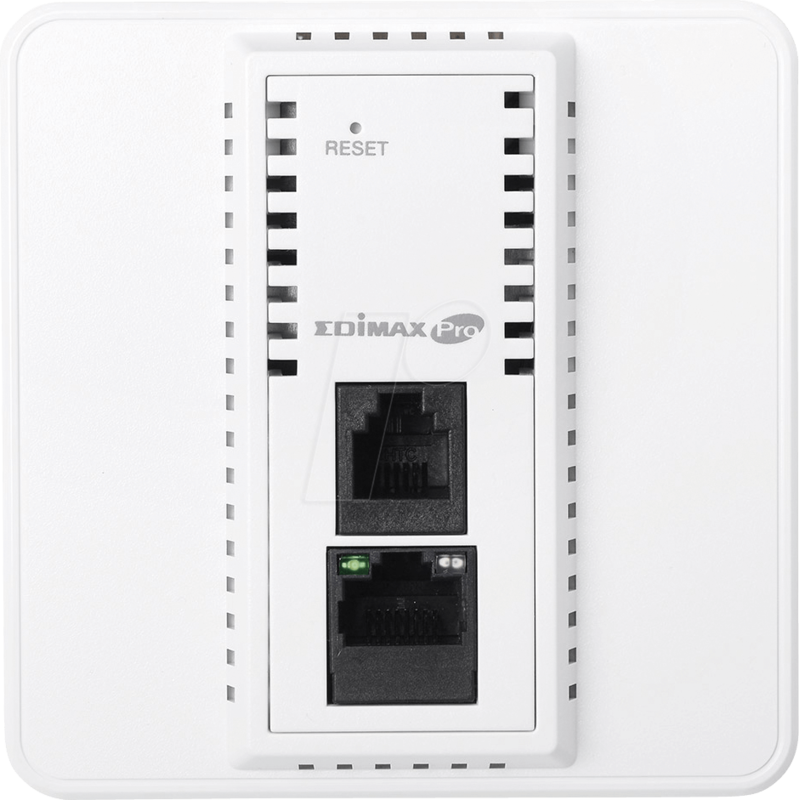 Additionally featuring fast roaming for seamless transitions between access points, Power over Ethernet support (PoE) and an intuitive web-based management interface – which provides flexibility for deployment and extensive management options for company MIS departments and network administrators. When performance and security are critical for your business, you need products that are engineered for your industry. 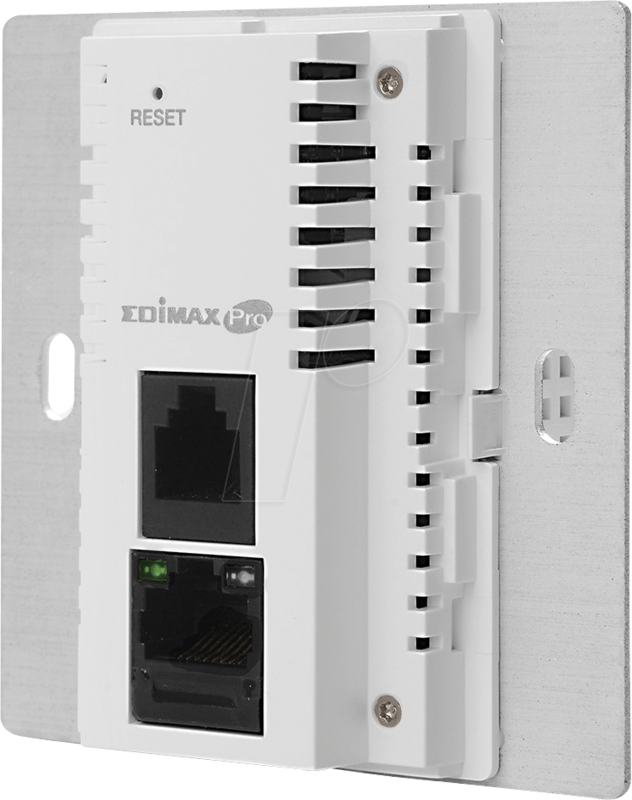 The Edimax Pro series is designed to help your business and provide the connectivity that you rely on every day, with safety and effectiveness guaranteed. 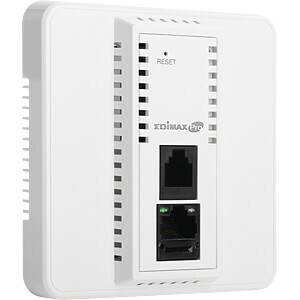 802.11ac High Speed Dual-Band: IEEE 802.11ac concurrent dual-band with 1200Mbps wireless speed. Easy Installation: In-wall design with easy installation kit. Compact Housing: Ultra slim design. Designed for High Density BYOE Usage: Ideal for crowded environments and BYOE (Bring Your Own Everything) workplace Wi-Fi connection. Multiple SSIDs for Security Management: Supports up to 32 SSIDs (16 x 2.4GHz & 16 x 5GHz) ideal for multiple departments, user groups, customers or guests. Fast Roaming: Roam smoothly between APs without lag or interruption, ensuring top performance for video and voice streaming applications. Wide Coverage & High Sensitivity: Adjustable RF output power and high receiver sensitivity for wide coverage across large spaces. Seamless Mobility: 1.5 x greater coverage than typical APs for blanket coverage to ensure seamless connectivity for Wi-Fi devices across enterprise environments. 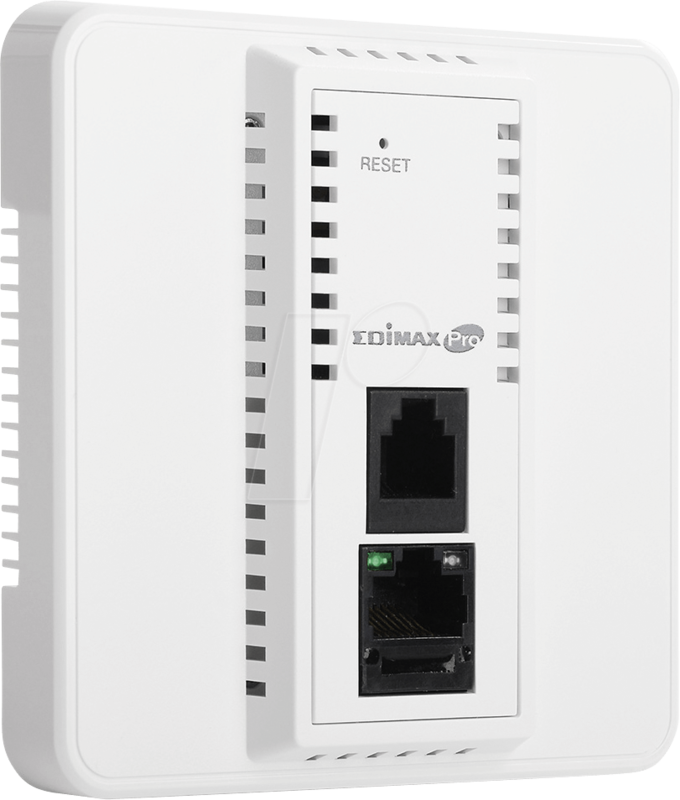 Power over Ethernet: Supports IEEE 802.3af PoE. Business Environments: Mainstream choice for SMBs. Suitable for a wide range of commercial applications such as offices, hotels, MDUs (Multi-Dwelling Units), airports, meeting rooms, schools, campuses etc. 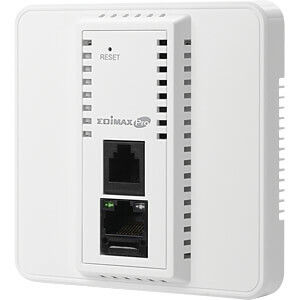 Central Management: Edimax Pro Network Management Suite (NMS) for easy and intuitive web-based central management that supports AP array architecture.